Protective Clothing Standards help protect our nation’s workers, guiding the manufacturing, testing, and use of protective apparel and clothing in a variety of fields. 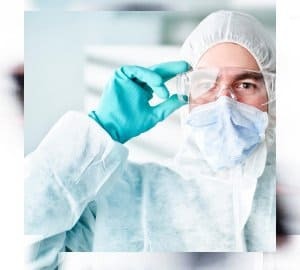 With many industries requiring protection from unique hazards under equally unique circumstances and with further variation stemming from the different designs and materials used in protective apparel, quality assurance and apparel selection becomes a significant undertaking. To this end, many published standards detail procedures that test protective clothing by simulating the hazards and conditions they are intended to protect wearers against, allowing interested parties to compare how different approaches fare against the same hazards. Standards exist for testing resistance against everything from molten metal splash to liquid pesticides, hypodermic needle punctures, and blood-borne pathogens. Some standards set out definitions which are then referred to in other standards that deal with more specific issues, as well as simplifying comparisons between products, procedures, and results. Standards for end-users are plentiful as well, such as those detailing the standard practice for sizing fire and other thermal rescue service uniforms; the proper wearing, care, and maintenance of chemical protective clothing; or the selection, use, and care of high-visibility safety apparel. Involved in the publishing of standards for protective clothing are standards developing organizations (SDOs) from around the world. ISO, the International Organization for Standardization, has published a large amount of standards regarding the testing, specifications of, and requirements for protective clothing, as have the national standards bodies (NSBs) of many countries, such as Germany, the United Kingdom, Japan, China, Austria, Sweden, Australia, and so forth. Furthermore, additional protective clothing standards have been developed by international SDOs, such as the International Safety Equipment Association (ISEA), the National Fire Protection Association (NFPA), and ASTM International, originally founded as the American Society for Testing and Materials. Additionally, the United States Department of Defense has also published several military specifications on the subject. Essentially, protective clothing is an area where proper standardization is seen to be vitally important by everybody involved.